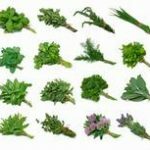 Discovering or Rediscovering Herbs part 2! Lynna… “A Preppers Path” Audio player provided! The world without herbs would be sadly lacking. Their versatile uses make them an intrinsic part of everyday life. Last week in part one we looked at a little bit of history finding that the herb has assisted mankind since prehistoric times, we talked about the varied uses in the kitchen the medicine cabinet and religion. On this show A Preppers Path gets a little more personal as we look at some individual herbs and how we as Preppers can incorporate them into our lives of Peace Power & Prosperity! 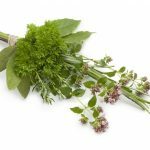 Listen to this broadcast or download “Discovering or Rediscovering Herbs part 2” in this player! Our relationship with the herb reaches back thousands of years and at one time herbs were an essential part of life. We used them to preserve food as well as make foods more nourishing. We used them for medicinal purposes and for religious ceremonies. There was hardly anything in our daily lives that herbs didn’t have a role in. As time passed however we began to forget the many versatile uses of herbs and then we thought we could improve upon Mother Nature with manufactured copies, chemicals and synthetic knock offs. And many totally forgot that the herb existed, not realizing that what they were now using were copies of the originals and not natural at all. Fortunately when it came to our food we sort of drew the line, imagine how bland and boring our food would be without all the condiments and how really dull cooking would be if we didn’t experiment by adding a sprinkle of this herb and a dash of that one. However even with our foods over the years we left the world of herbs and tended to use the very basics in our foods, salt and sugar. Two of the most prolific and dangerous things in our foods today. 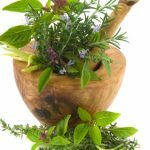 When it came to medicinal purposes we for the most part left the herb behind, thinking modern medicine had created some new fantastic treatment when in fact nearly all the new wonders had their foundations in the world of herbs. As with much of today we aren’t discovering something new we are merely rediscovering it. Follow Lynna on Twitter @OtherSidePrep! Archives, website, & more for A Preppers Path HERE! Previous: Previous post: 4 Ways to Hide Your Survival Garden! Next: Next post: Prepping in School!